(Omaha, NE – October 24, 2016) With Veteran’s Day swiftly approaching and nearly 20 veterans, and a dozen more surviving spouses living at The Heritage at Sterling Ridge – this senior living community understands the need to pay tribute to those who have lost their lives in war. On November 1st, The Heritage at Sterling Ridge, along with State Senator McCollister and the American Legion Post 374 Color Guard, will host a ceremony to kick off a week-long tribute to Nebraska’s Fallen. A very emotional memorial, “Remembering Our Fallen,” is a stark reminder of the ultimate sacrifice made by 56 of the Fallen from Nebraska killed in The War on Terror while wearing our country’s uniform in a war zone. The photo memorial, which includes military and personal photos of each of Nebraska’s Fallen, is traveling throughout the state and will be coming to Omaha’s The Heritage at Sterling Ridge from November 1st – 6th. This memorial, and 18 other state memorials representing 60% of our country’s Fallen since 9/11/01, have been created by Patriotic Productions, a non-profit organization headquartered in Omaha, Nebraska. The goal is to complete a national traveling memorial that will include all of our country’s Fallen from The War on Terror. And many, many spouses of those who have served. The Heritage at Sterling Ridge is located at 1111 Sterling Ridge Drive, off of 127th & Pacific, in Omaha. The retirement community offers Independent Living, Assisted Living and Memory Support. 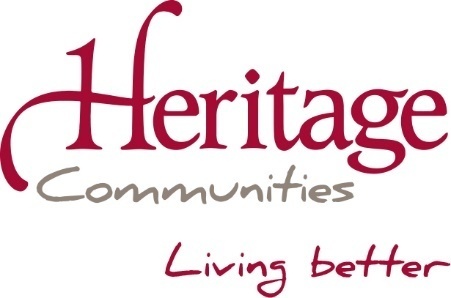 Heritage Communities, the corporate office is located in Omaha, where they own and operate 12 senior living communities, including two communities currently under construction. For more information on The Heritage at Sterling Ridge, or Heritage Communities, please visit www.heritage-communities.com.